Woodsy had the most liked content! 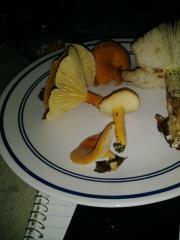 Orange with white or yellowish gills. White stuff comes from the gills. Can it be ate?